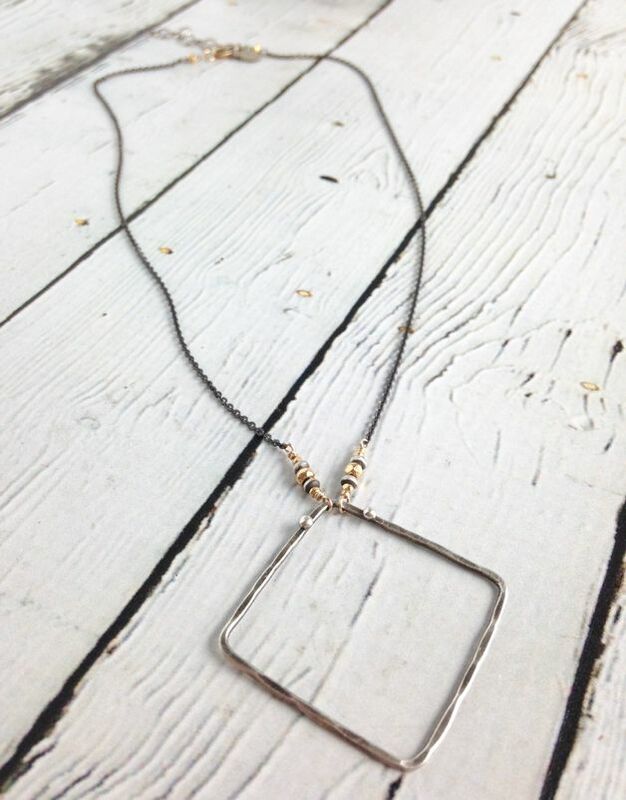 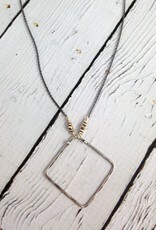 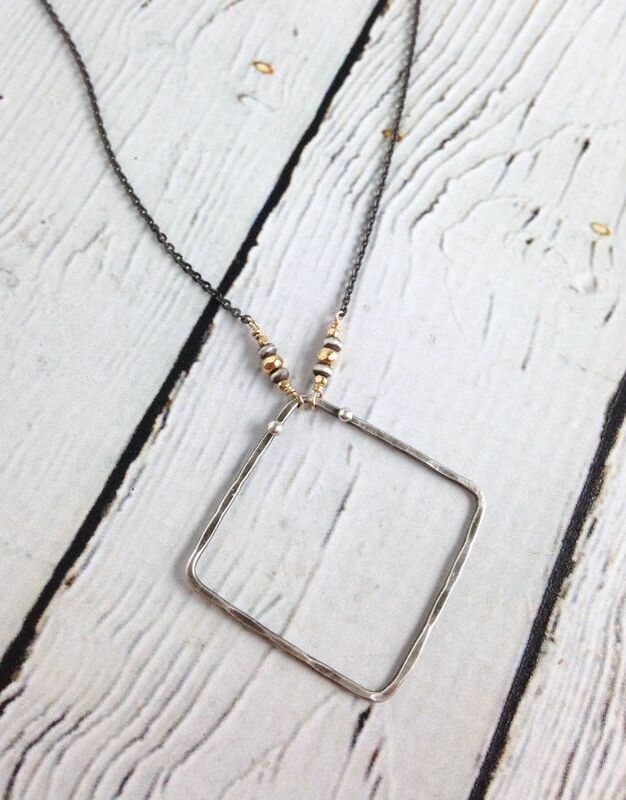 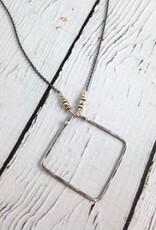 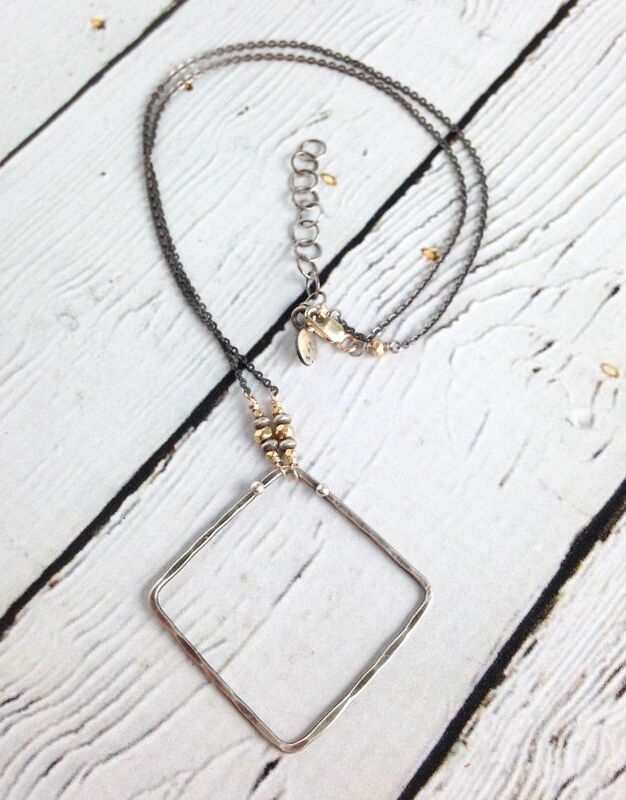 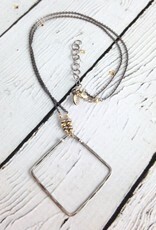 Hammered Sterling Diamond on Gold vermeil and oxidized sterling chain necklace. 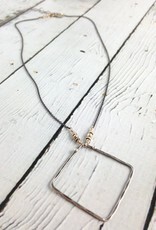 Necklace measures 16” long with 1.5” extension. 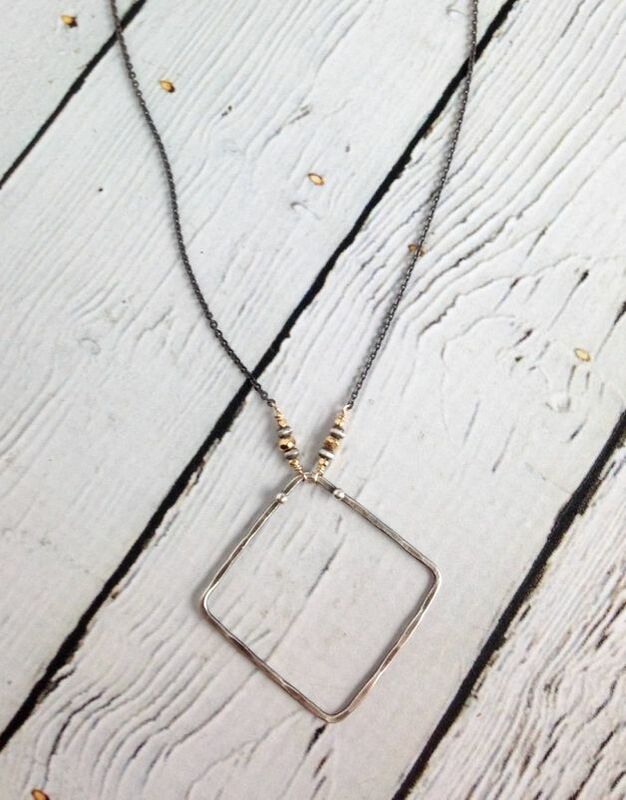 Pendant measures approximately 1.75” x 1.75”.